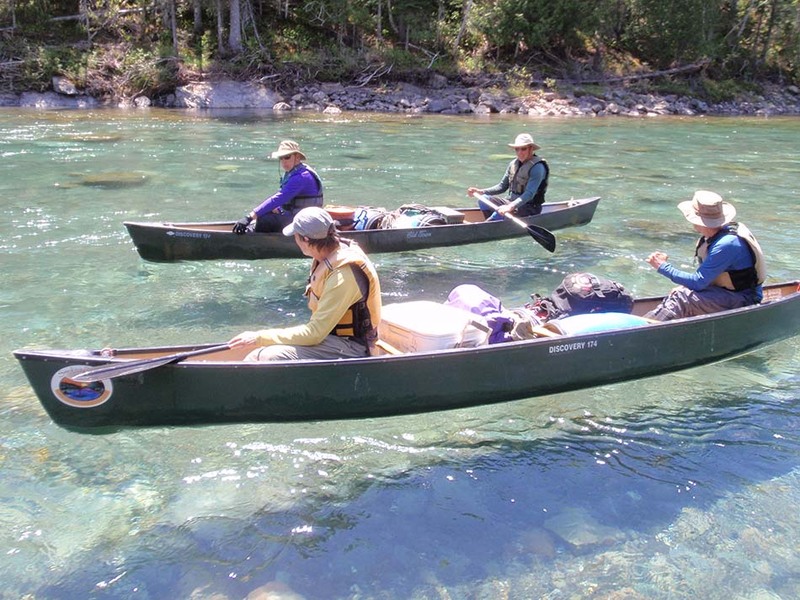 The Gaspe Peninsula’s unique combination of Quebec Maritime and rugged north country provides the backdrop to Smoking Rivers’ Bonaventure River canoe trip. Reputed to be the most pristine river east of the Canadian Rockies, the Bonaventure flows out of remote Lac Bonaventure, nestled high in the Chic Choc Mountains. 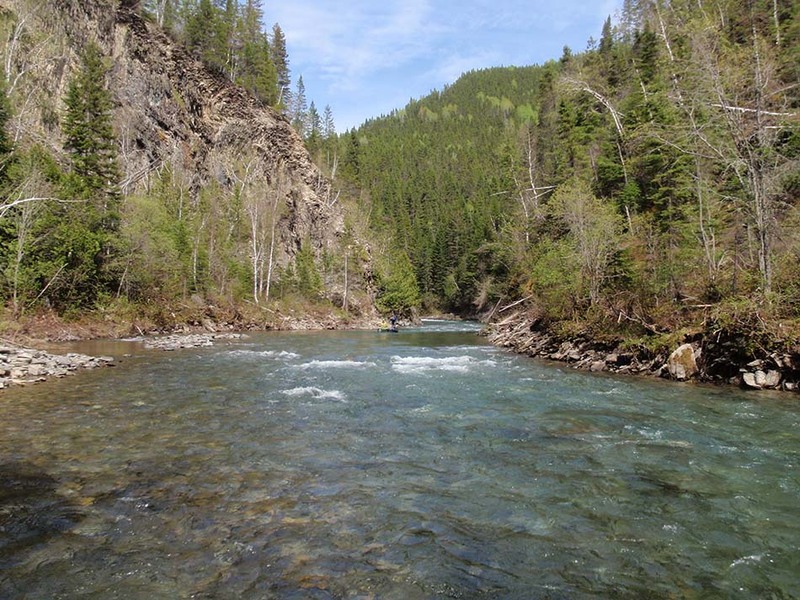 The river features forest gorges, dramatic mountain vistas, and crystalline salmon filled waters. 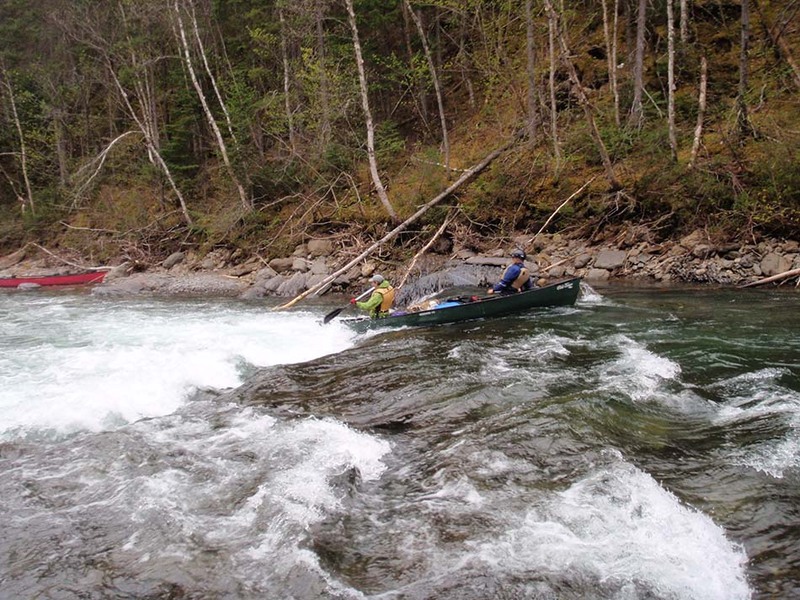 With a consistent and significant dropping gradient, the Bonaventure River canoe trip is characterized by virtually continuous, mildly technical Class I-III whitewater from its origins high in the Chic Chock Mountains, all the way to the sea. 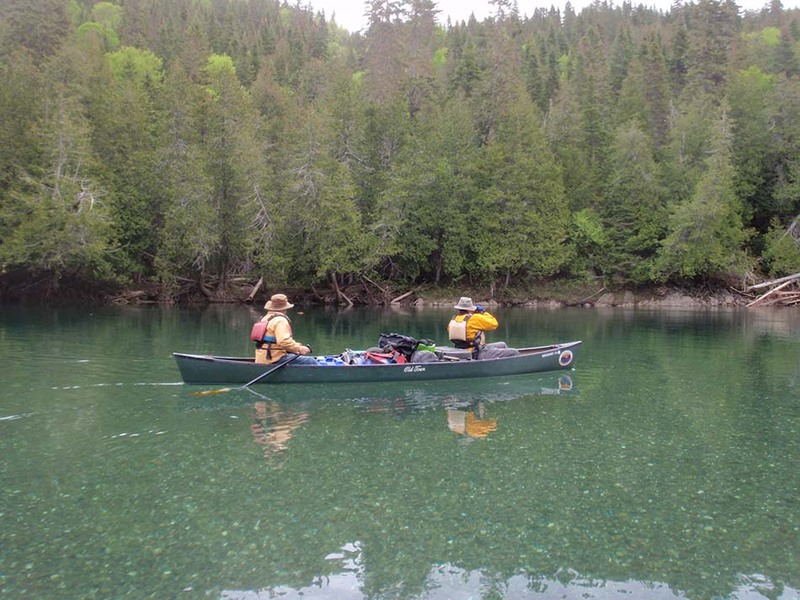 The Bonaventure is an ideal river for solo paddling and poling, a time honored craft practiced by very few in Maine and the Maritime regions of Canada. 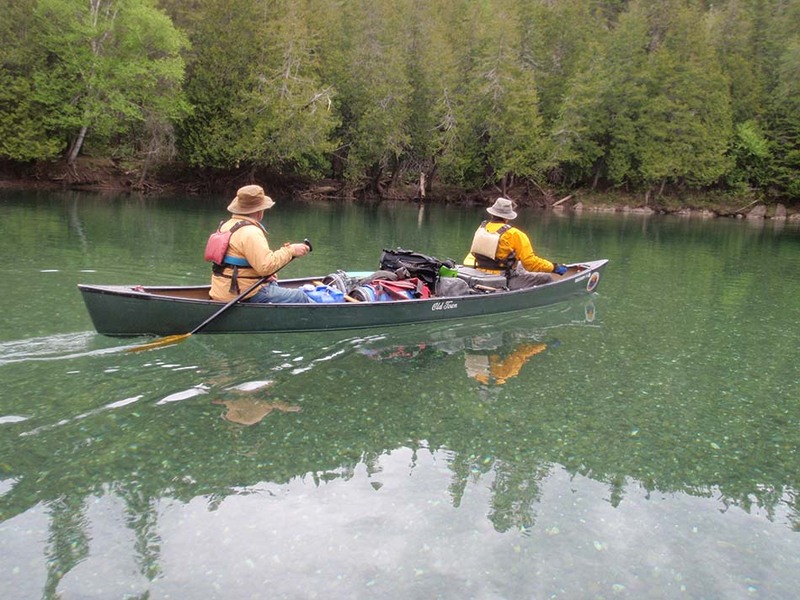 Whitewater enthusiasts or those looking to hone their skills in whitewater canoeing consistently choose the crystal clear waters of the Bonaventure as a must-do canoe trip in Eastern Canada due to its relative proximity to the states. 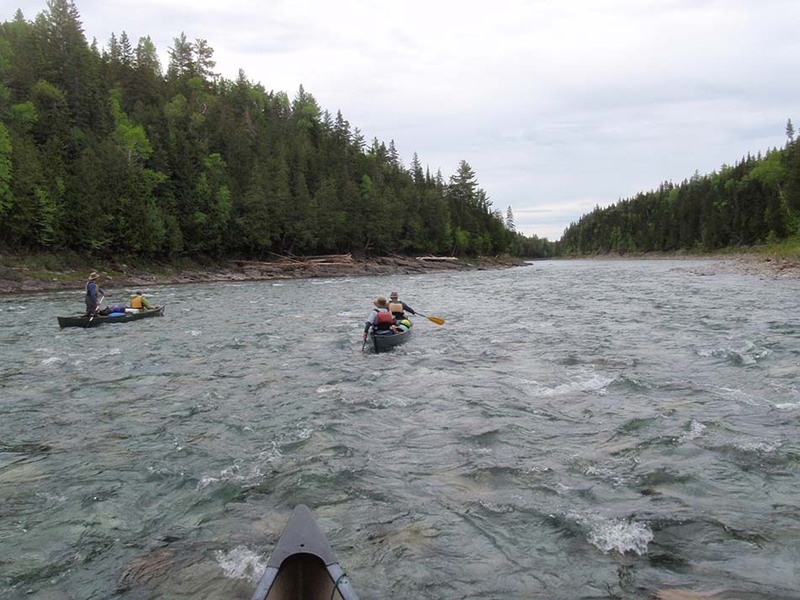 There is no remote fly-in necessary and due to its tremendous presence as a remote canoe tripping river with manageable whitewater makes the Bonaventure a thrill for all paddlers. 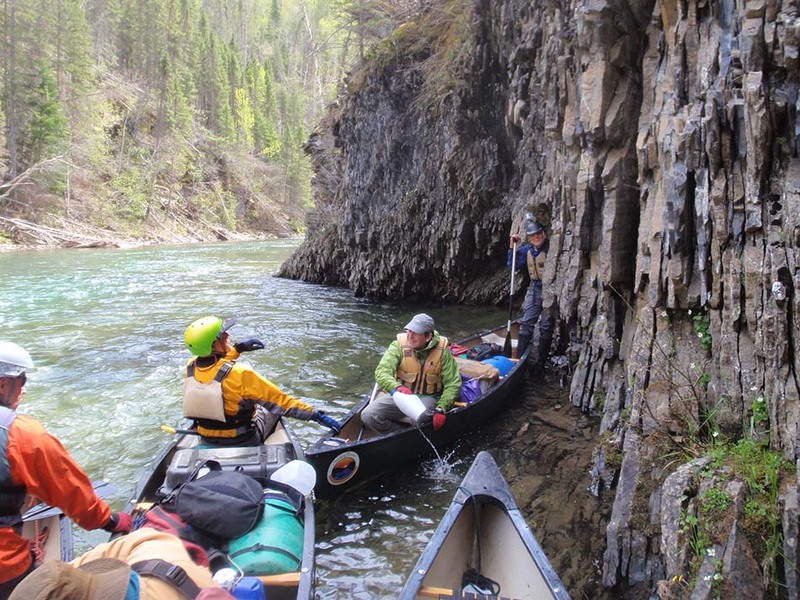 The highlight of any canoe trip on the Bonaventure River is ‘The Gorge’. 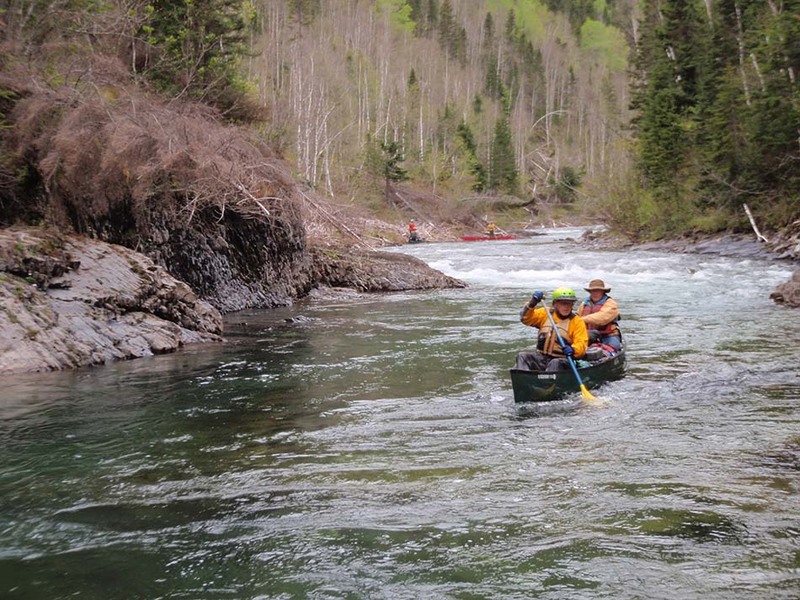 A 10-mile section of the most challenging whitewater of the trip is interspersed with areas of swift water. As with all of our trips, Smoking Rivers’ professional Guides take great care to ensure the safety and success of our guests. 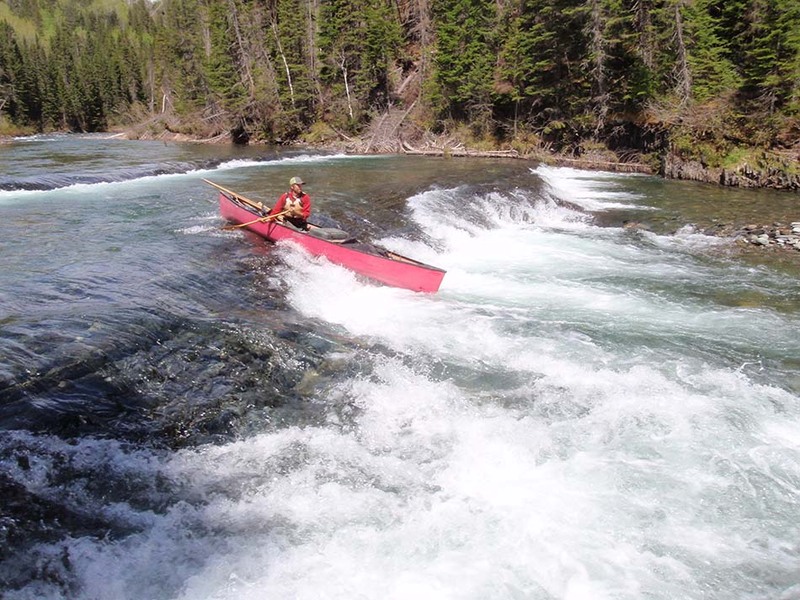 We take ample time to thoroughly scout each significant rapid until all in the party are comfortable to run a particular section and no one is required to run any piece of whitewater they feel uncomfortable with. The highlight of The Gorge section is a piece of whitewater called ‘The Three Steps,’ which includes three successive Class III ledge drops and larger waves. An absolute thrill for any paddler, these whitewater sections are tremendously rewarding after successfully navigating the rapid and make great opportunities for photographing the exploits of your fellow paddlers. Upon exiting The Gorge, which we will take care to negotiate in a full-day, the river again widens but still maintains its constant gradient and swift water. 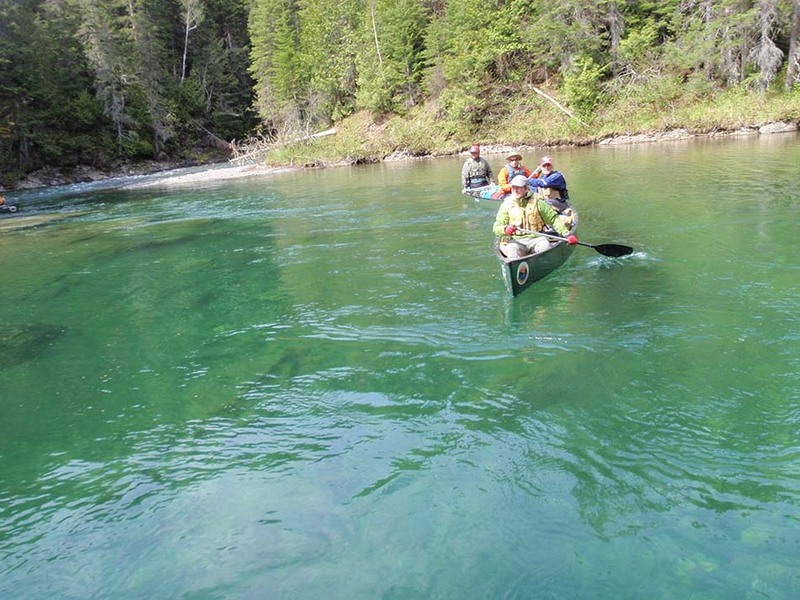 Rapids continue to abound and paddlers are whisked along with the current while paddling on crystalline, aqua colored water that is some of the clearest, coldest water that many have ever seen. 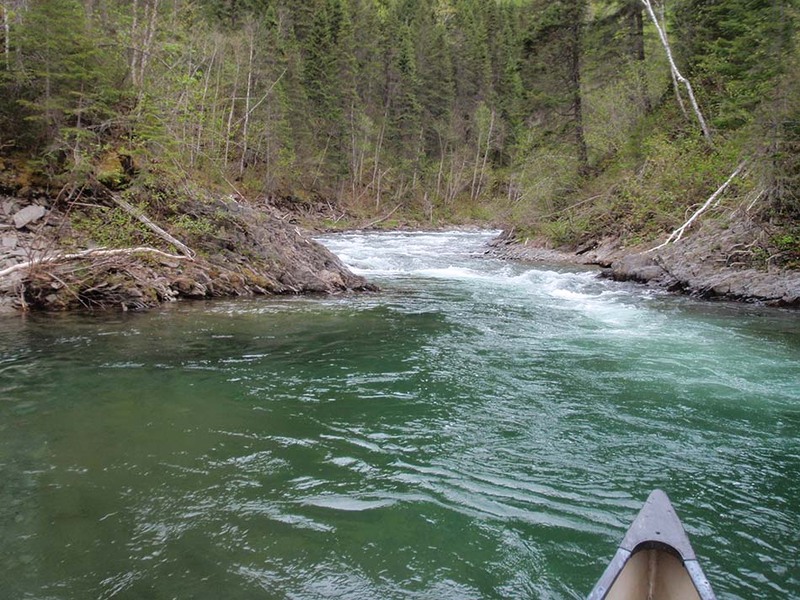 It is not uncommon to peer beneath the canoe and see salmon swimming 30 feet beneath you. 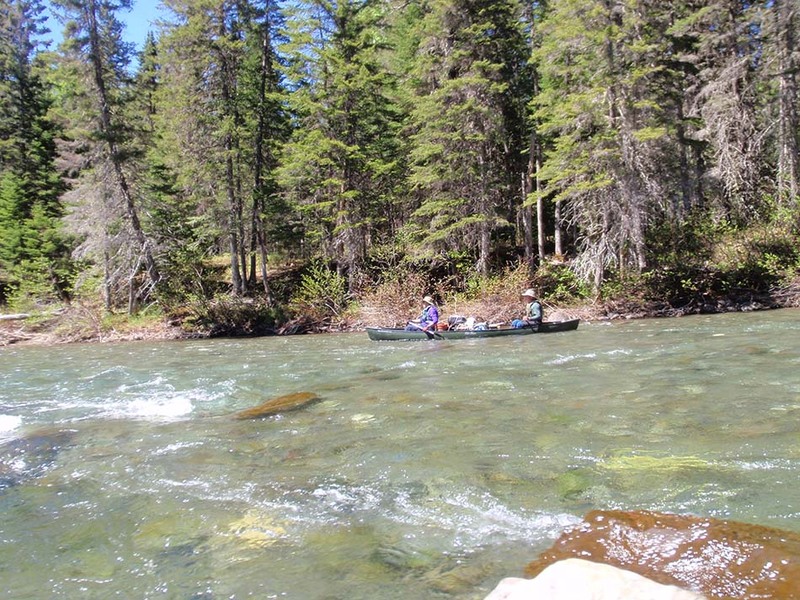 A perennial favorite of Smoking Rivers’ professional Guides, the Bonaventure River canoe trip truly feels like an expedition deep into the heart of the rugged Canadian back country. The Gaspe Peninsula of Eastern Quebec extends into the Gulf of St. Lawrence and is commonly thought to mean ‘the end’ in the language of the Mi’kmaq people. 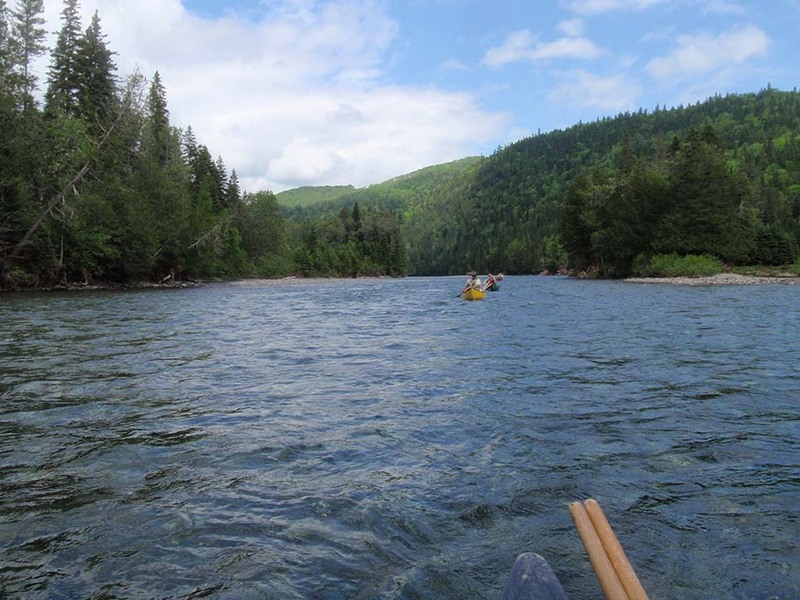 Today, a sportsman’s paradise, the Bonaventure River is the crown jewel of paddling on the Gaspe. Its people are hearty individuals and the forest industry, as well as commercial fishing, predominates on the peninsula. 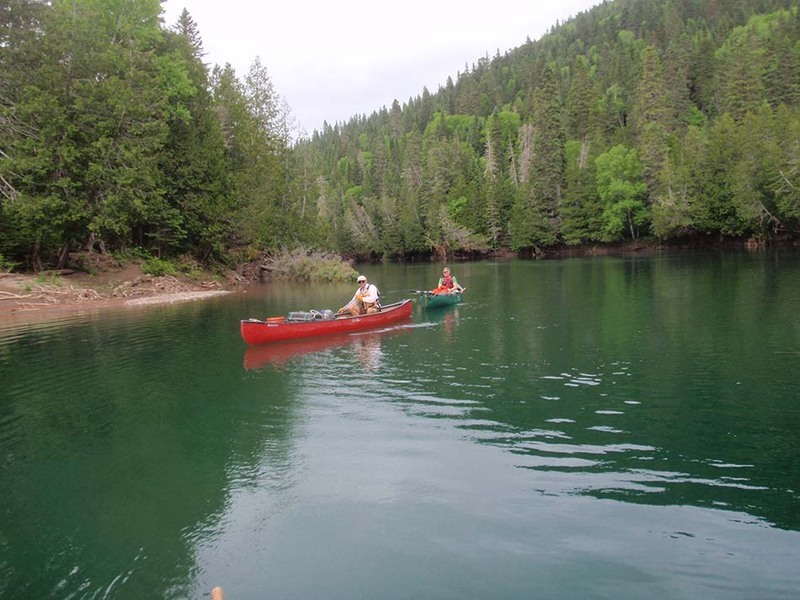 For those looking to extend their canoe trip, either before or after, the Gaspe Peninsula makes a wonderful vacation destination and offers ample areas and backcountry scenery to explore. The Bonaventure River begins at Lac Bonaventure, a small, remote lake accessible only through miles of remote, rough dirt roads. From its outlet, the river begins only as a small stream, less than 25 feet wide in certain places. 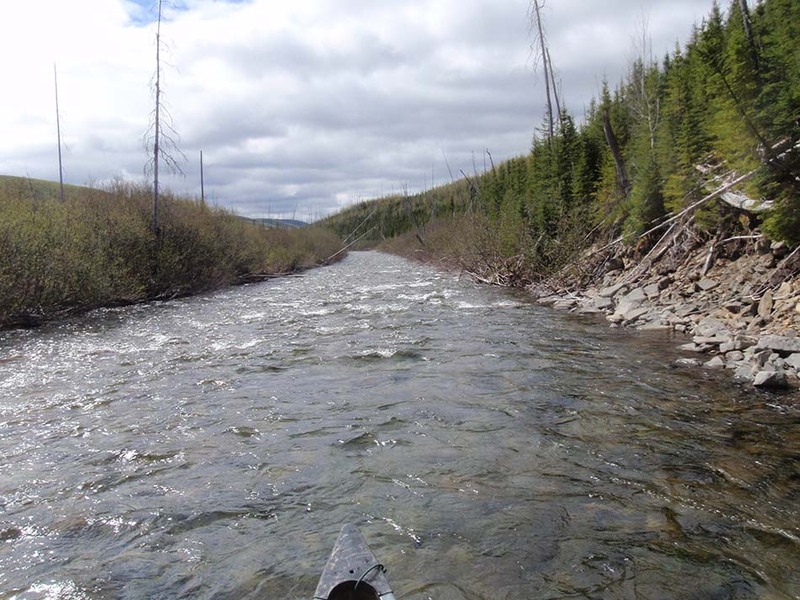 The Bonaventure River, as with many rivers on the Gaspe Peninsula, is heavily impacted by seasonal ice floes and spring run-off, so places throughout the river may be choked with dri-ki (driftwood) that require tight maneuvering in the canoe. Therefore, prior canoe experience is recommended for this canoe trip. From Lac Bonaventure to the terminus in the Baie de Chaleurs, the Bonaventure River grows in size with each day of the canoe trip. With is consistently dropping gradient, paddlers are allowed the opportunity to enjoy nearly continuous yet easy Class I whitewater, with some technical corners thrown in. 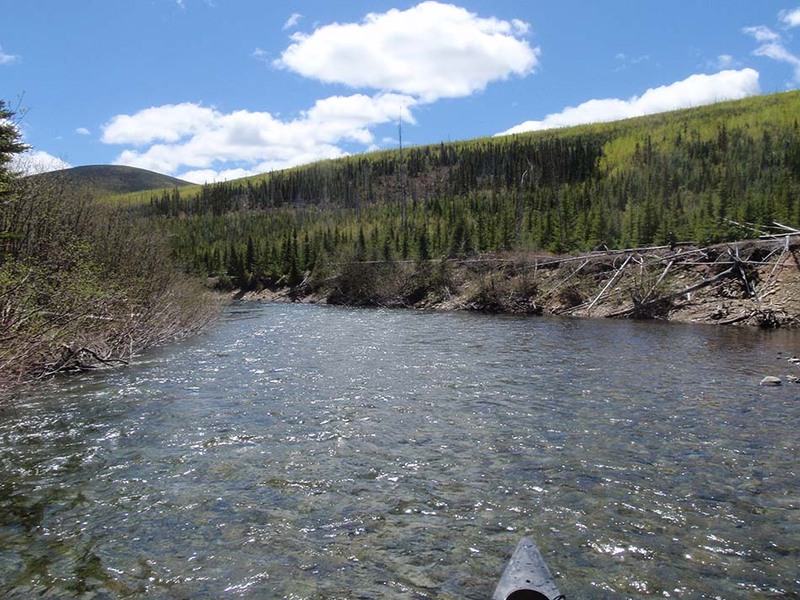 The Bonaventure River canoe trip is a whitewater focused trip but allows paddlers the opportunity to paddle through tracts upon tracts of untouched wilderness area throughout the northern boreal forest. It is common to spot moose, deer, and the occasional bear throughout its rugged reaches and waterfowl, eagle, and beaver are also common. 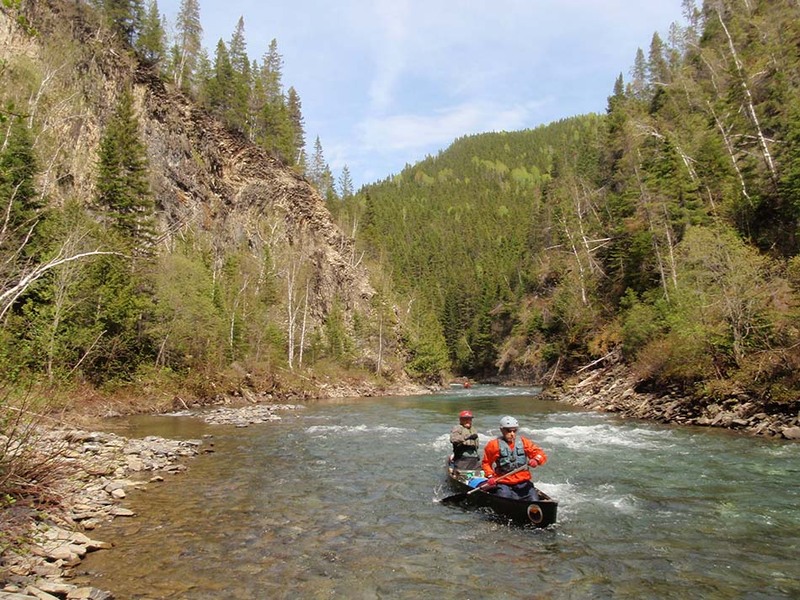 Fishing on the Bonaventure River is a highly regulated and highly prized endeavor due to its abundant and closely managed population of native Atlantic Salmon. Therefore, fishing on the Bonaventure River canoe trip is just not an option. 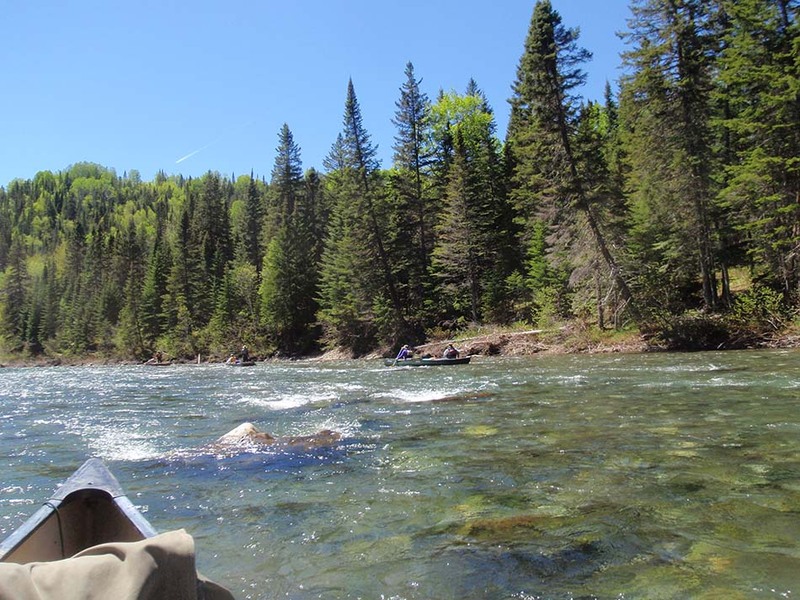 However, the Bonaventure River, particularly on the lower section, is very popular for those who have drawn a permit to fish for the famed Atlantic Salmon and the river features hundreds of natural salmon pools. It is very possible, depending upon the exact timing of the river trip and that year’s particular salmon run, to view these majestic fish swimming throughout the pools while we make our way downstream. 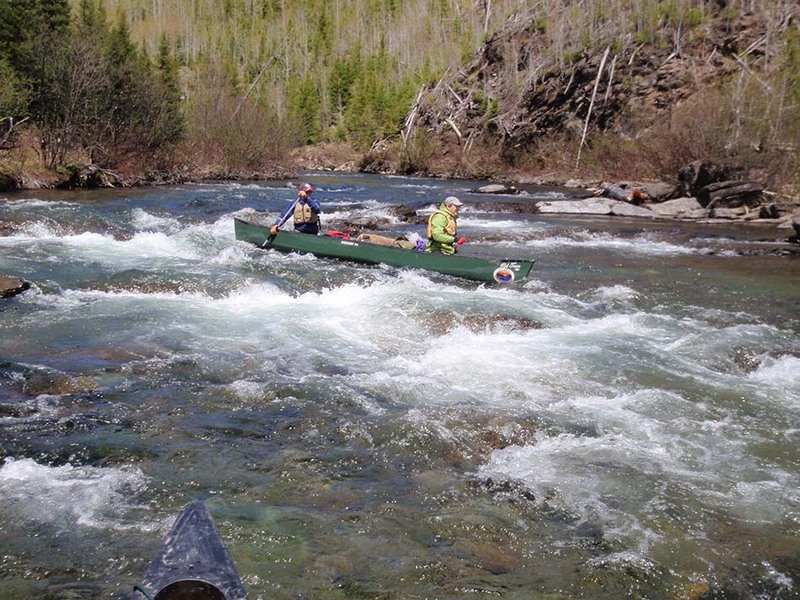 As we near the end of the trip, whitewater continues, although the rapids become somewhat less technical. Opportunities to stop at beautiful locations for photos are ample and include waterfalls and the opportunity for a side-hike may exist depending upon interest level and time available. 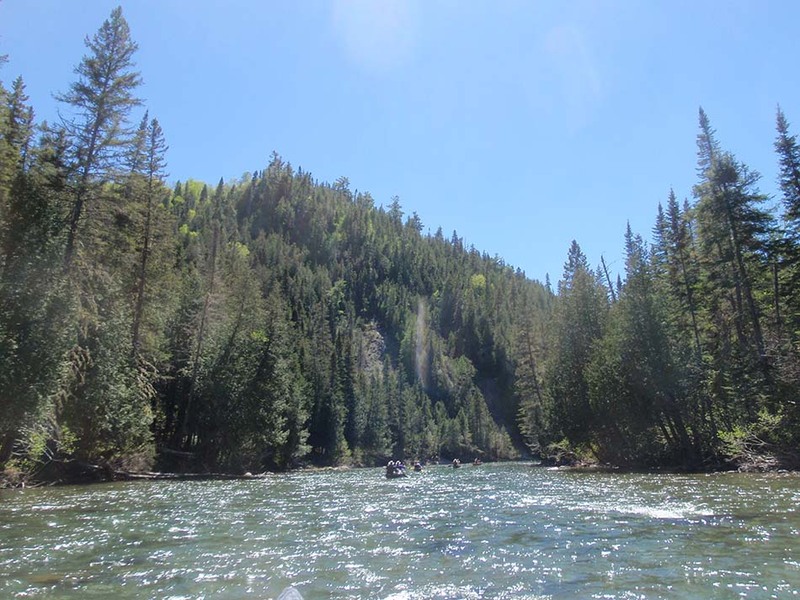 Aside from The Gorge section, which is nestled into the river valley by high canyon walls, magnificent views of the Chic-Choc Mountains abound and make for excellent photos as a memento of a great canoe trip. 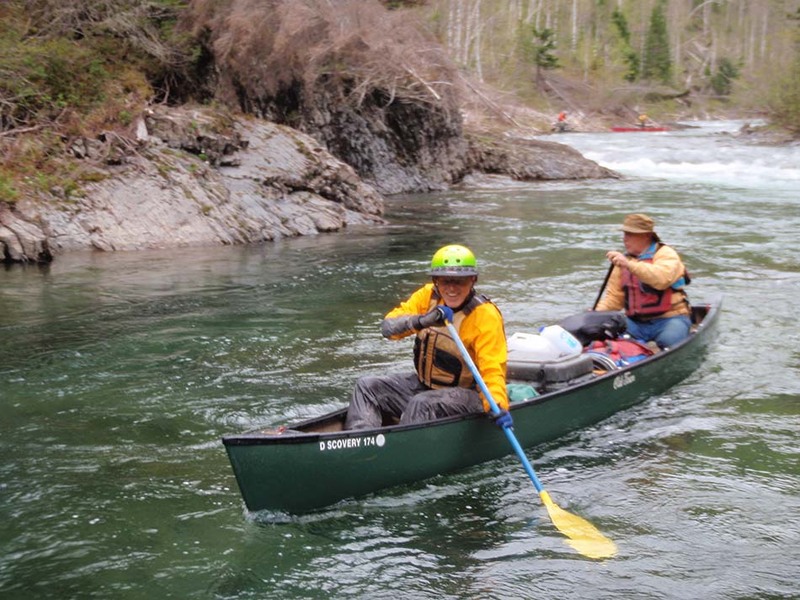 The Bonaventure River Canoe Trip with Smoking Rivers is an excellent option for those with some paddling experience and an adventurous spirit. 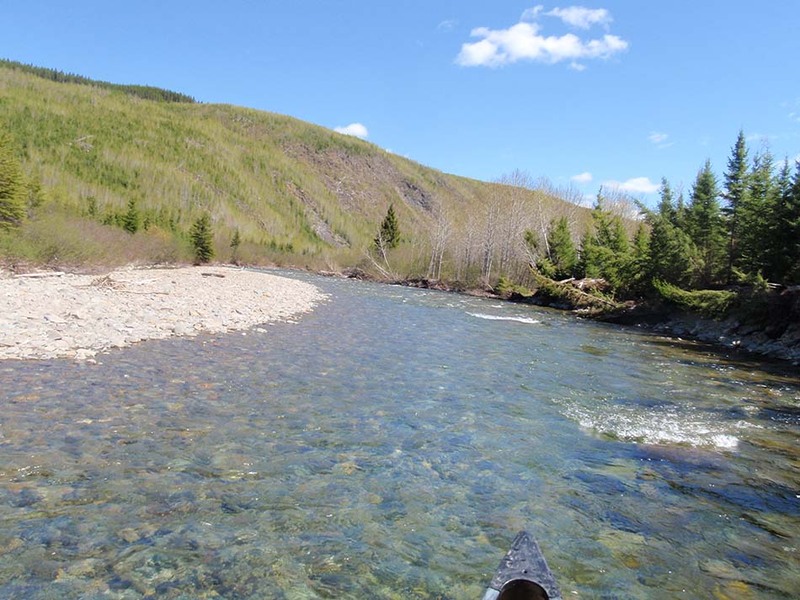 Conditions on the Gaspe Peninsula can change quickly and may alternate between beautiful, sunny and hot temperatures to cold, rain, and even snow on occasion, all of which add to the rugged beauty of the river corridor. 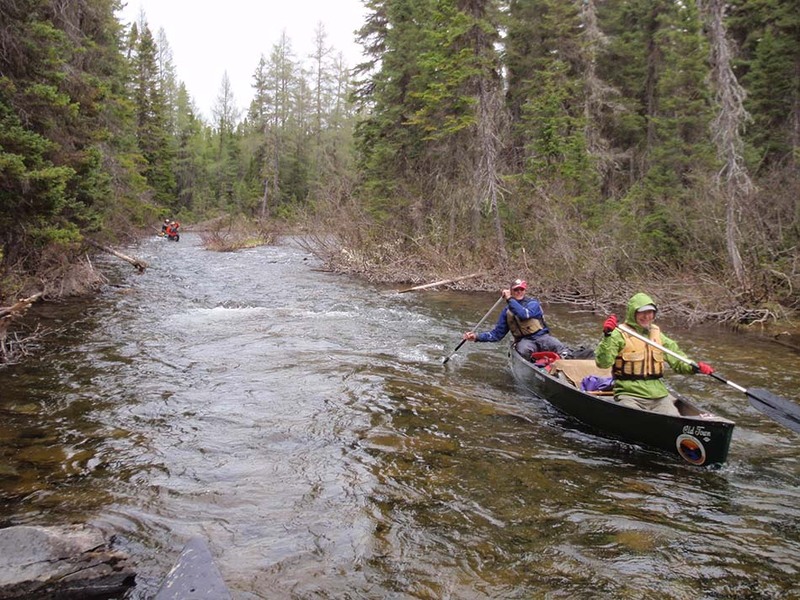 Children, ages 12+ are welcome to join us on this canoe trip and all participants should be in decent physical condition due to the ruggedness of this expedition. 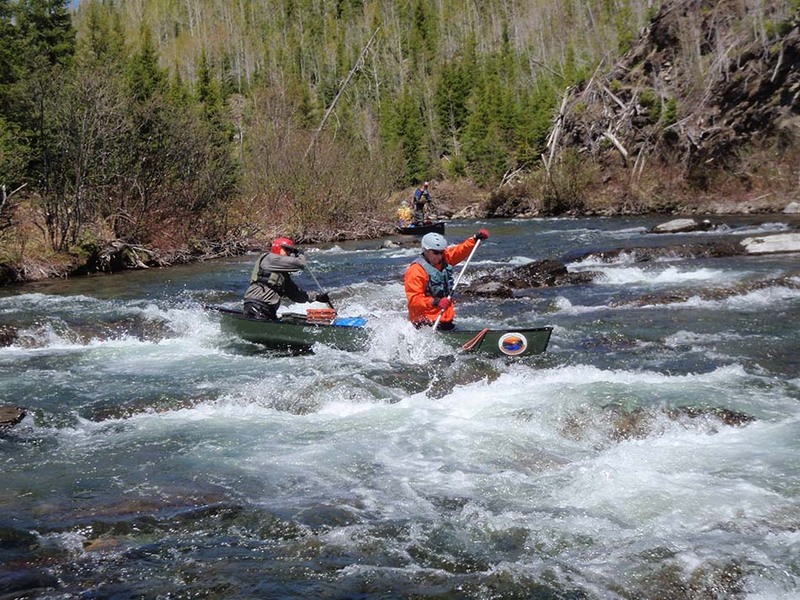 Due to the free-flowing nature of the Bonaventure River, canoe trips are only able to be scheduled in early to mid-June each year, as the snow melt provides a short window of time to enjoy the whitewater and upper sections of the river. 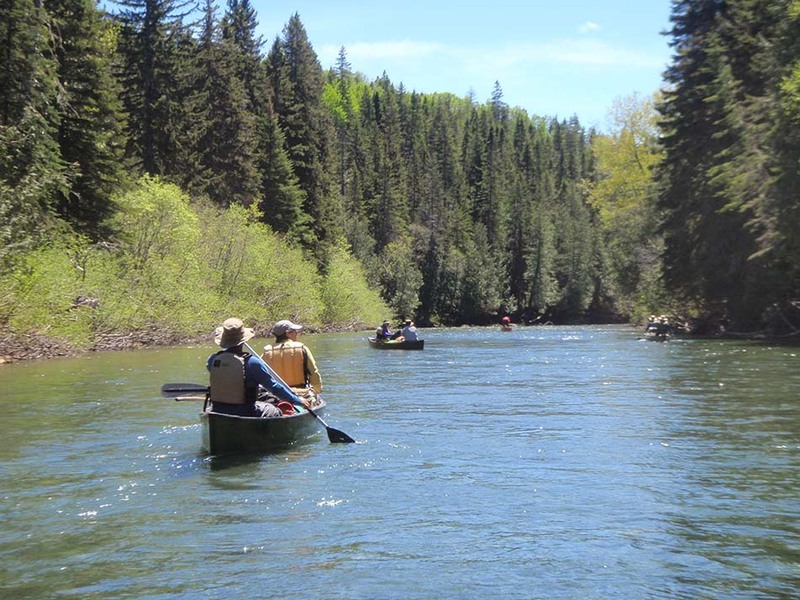 Smoking Rivers organizes trips each June on the beautiful Bonaventure River each year and we offer an open trip, as well as the opportunity to organize private canoe trips as well. 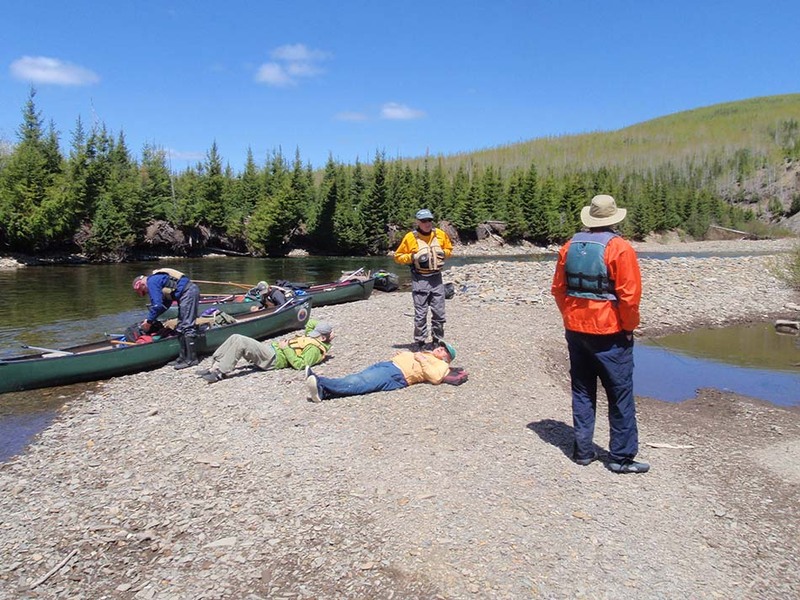 Trips are most generally organized in a 7-8 day manner, allowing for ample time in the whitewater sections and plenty of time to relax in the beautiful and scenic campsites. For more information regarding dates and itinerary for a Bonaventure River canoe trip, please contact us directly.